From farmhouse style to “millennial pink” to neutral and minimalist interiors, every new year brings with it a new round of interior design trends. With ever-evolving home styles, hardware can be a perfect way to refresh your space and incorporate new trends without a major renovation. Here are a few of the 2019 hardware design trends we’re loving. 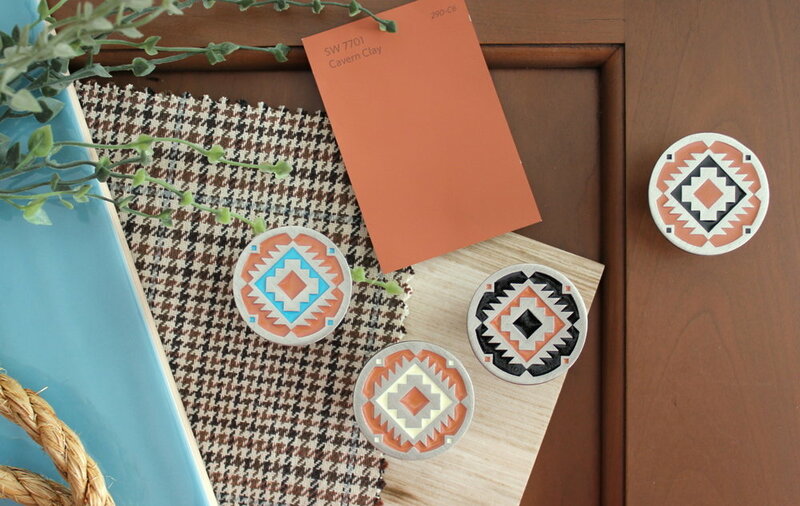 Pantone calls this year’s Color of the Year “an animating and life-affirming coral hue with a golden undertone that energizes and enlivens with a softer edge.” We’re loving the warmth and optimism this vibrant shade can bring to home interiors! 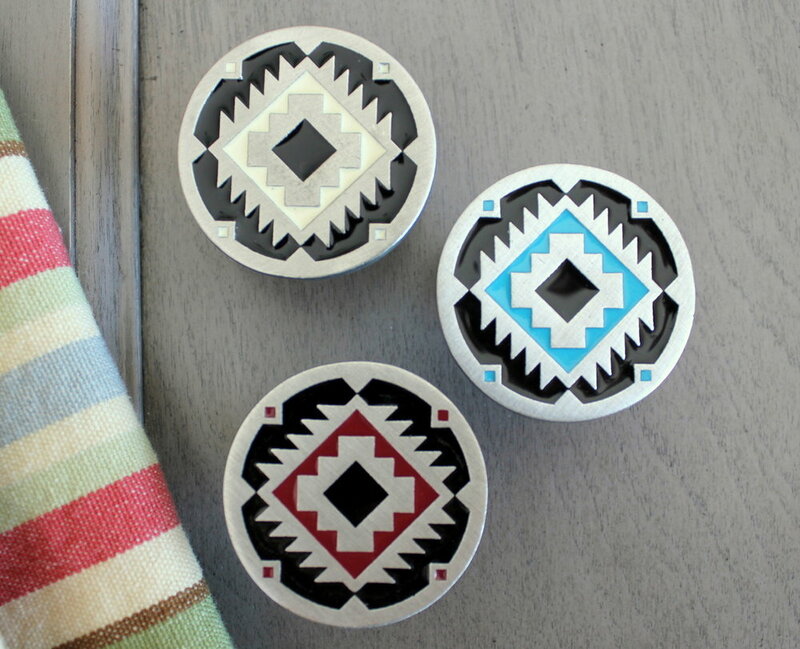 Hardware is a great way to add a subtle pop of this bright shade to your home. Coral is just one of a few beautiful new custom stone choices we just added, so be sure to check out the other options now available! In 2019, try embracing the mixed metal look and adding accents in a variety of finishes. Not into the warm tone metals? More subtle shades are also making an appearance this year. “Pewter and gunmetal is the trend we are loving. It’s not as harsh as matte black or specific as brass or gold, but it gives fixtures some texture and depth,” says Highlyann Krasnow, founder of The Design High. The last few years of interior design have skewed toward simple, minimalist, neutral spaces with Scandinavian influence. But many people are rediscovering the joy of a “more is more” design philosophy and filling their homes with decor that adds whimsy and individual expression to their space. 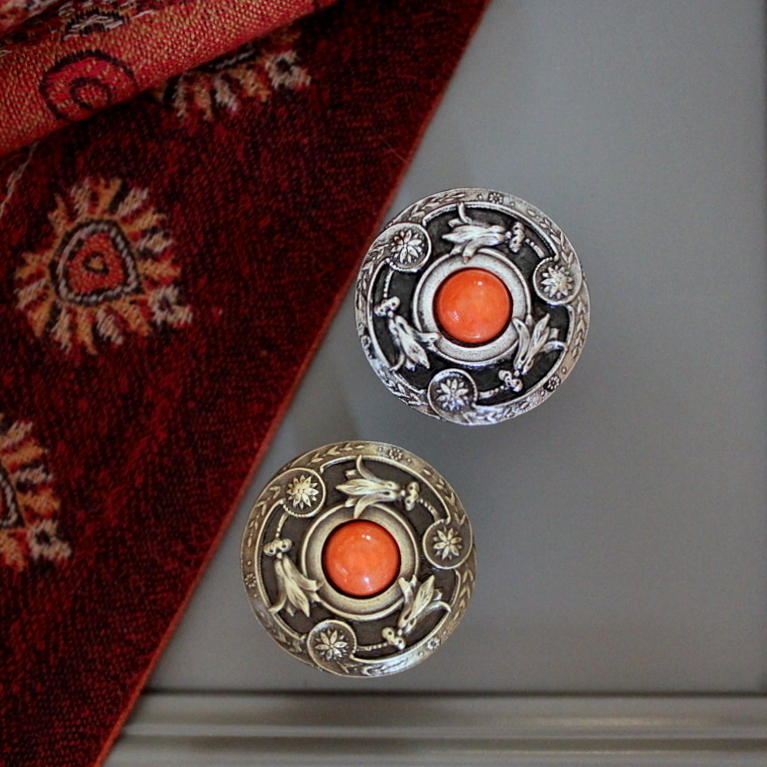 Try adding a pop of personality with a special piece of hardware on a console or end table or if you’re ready to go big, outfit an entire room with luxurious, detailed pieces. 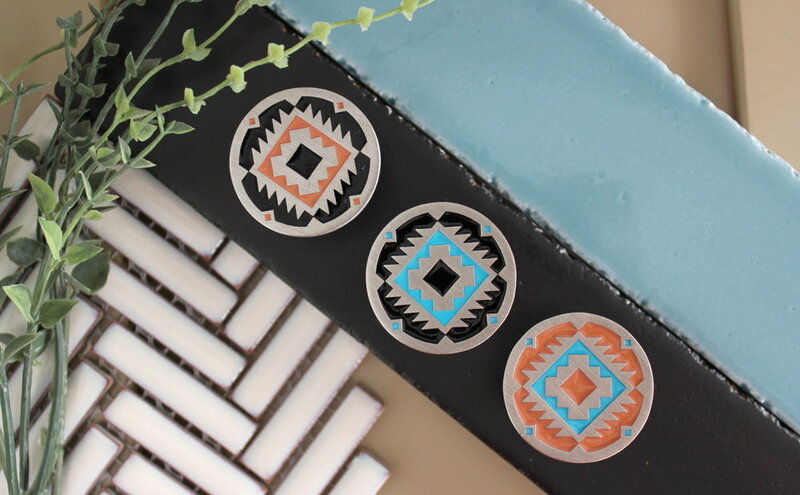 Jewel tones have always added a rich accent to rooms, but according to Elle Decor, 2019 is all about offsetting the deep hues with black or white backdrops. "Right now, I am loving deep, rich jewel tones with an edge,” says Jeff Andrews of Jeff Andrews Design. “Bold indigo, hunter and emerald green, and dark teal all feel ready to have a moment outside of the kitchen. We’re layering living rooms, dining rooms and bedrooms with paints, fabrics, accessories, and rugs in these colors to create drama against a backdrop of white architectural elements." Add an element of richness to your white cabinets with jewel-tone hardware, or add a beautiful accent to a piece of black furniture. While these 2019 hardware trends can help you incorporate this year’s interior trends into your home and freshen up a room, the best design guideline to follow is often your own taste and preferences! Trends will come and go, but in the end, your home is an expression of you and having beautiful hardware you love never goes out of style. Ready to add incorporate some of these hardware trends into your home? Contact us to find a dealer near you, and be sure to check out the new custom stone colors we’re now offering! We were excited to be involved in this beautiful “his and hers valet closet” project! We were contacted by a designer in Illinois who was working with a couple designing a new his & hers valet closet and master bathroom. 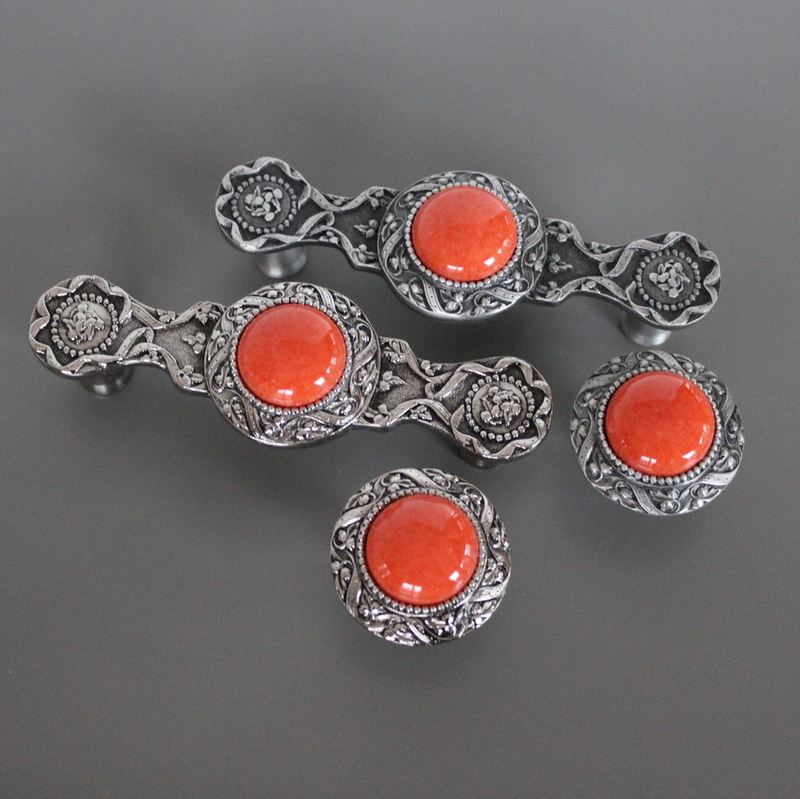 The couple selected our Victorian Jewel knobs and pulls in Solid Bronze. He selected the Onyx stone inlays, but she was looking for something with more pizzazz. After shopping around a bit she was able to find the beautiful Swarovski crystal inlays, shown below. We were happy to incorporate the stunning crystals into our hardware design to give her valet closet the extra sparkle she was looking for! What does Notting Hill make? Knobs, Pulls, Bin Pulls (cup pulls), Decorative Tile, Appliance Pulls, Hinge Plates and Furniture Inlays for cabinets & furniture. How long has Notting Hill been in business? While we’ve grown and expanded since our founding, all of our products are still handmade at a foundry here in southeast Wisconsin using the traditional spin-casting method. Most of the line is cast in solid fine pewter. Some is cast in solid bronze. What is so special about Notting Hill? The detail & craftsmanship. The designs are like small works of art. Designs are crafted with jewelry-like detail. Notting Hill creates special features before anyone else on the market. Notting Hill offers colorful painting called hand-tinting, enamel colors, semi-precious stones, metal/wood combinations and custom engraved pieces. Homeowners and designers looking for something different than what everyone else is offering. 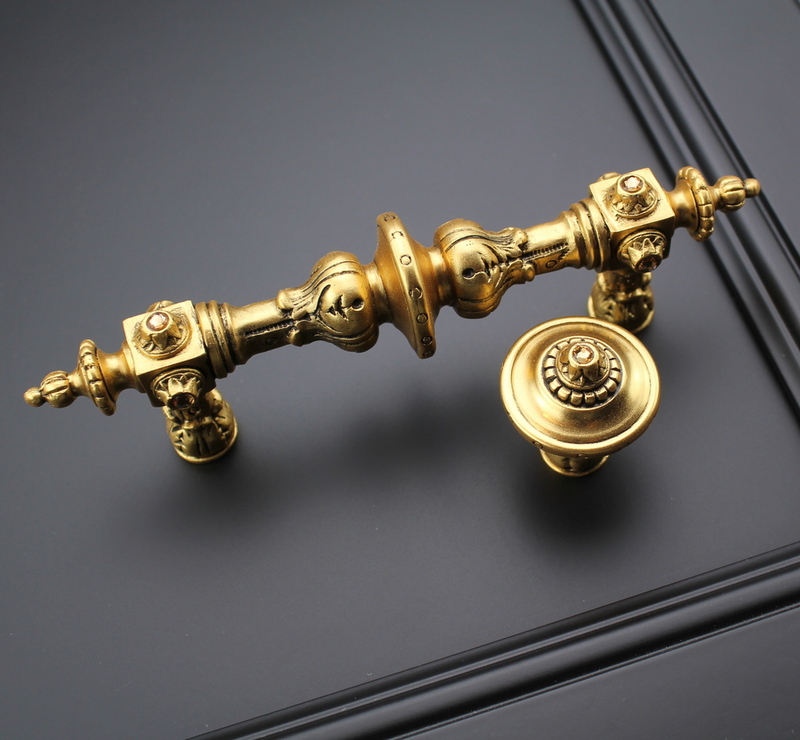 There are many plated & special finishes: Antique Pewter, Antique Brass, Dark Brass, Antique Copper, Satin Nickel, Brite Brass, Brite Nickel, Brilliant Pewter, 24K Gold, Dark Bronze. Is every design available in every finish? Refer to the Retail Price List for the available standard finishes. No minimums in the standard finishes as shown on the Price List. What is the lead time for regular orders? Orders ship in 1-4 weeks. Sometimes orders ship the next day, but since all products are handmade, it depends on inventory. Is there a guarantee on the hardware? Yes. All products are guaranteed against defects in workmanship. We double lacquer all products to protect the finish from typical wear and tear. Where is Notting Hill currently sold? We are available through hundreds of online and brick-and-mortar dealers in the US and Canada.